We've mentioned on the blog several times how much we like our Garmin GPS Running watches. In fact, the love for Garmins had trickled down to our mom, dad, and Scott too. I had already told the story about how Scott offered to upgrade my Garmin for me during my first marathon training cycle and I told him "Nah, don't bother. I'm only doing one marathon anyway". Of course, I ran a second marathon and still didn't think it was necessary to upgrade even though my battery died at 4 hours and I still wasn't done running . 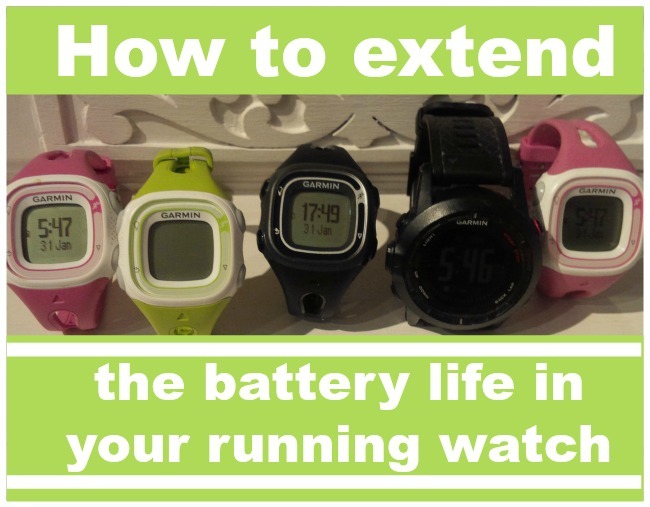 I expressed on the blog last week my concern of the short battery life of the Garmin Forerunner 10 and Kristy from Runaway Bridal Planner offered some great advice. She told us this trick that could extend the battery life from around 4 hours to almost 10 hours. You can flip it back every now and then if you need a quick look at where you are at. But if you leave it mostly on the main clock screen it saves the battery especially if you are planning to use it for more than 4 hours. I am so glad Kristy shared this tip with us and I will definitely be trying it out. The Garmin Forerunner 10 does everything that I need it to do and I really felt guilty upgrading it just because of the battery life. Now perhaps I won't have too. Do you have any running watch tips? wow, I am so surprised that a simple trick like that could save battery life. I will definitely be sharing this information with some of my running group buddies. 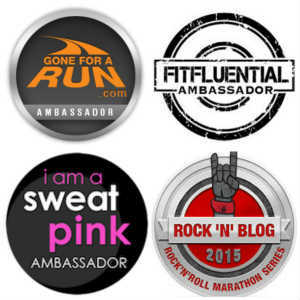 Battery life of a garmin has been a topic of conversation on several of our longer runs! Oh, good. I hope they find the info useful! It all came from Kristy! This is GREAT to know. I've been worrying about this myself. Thanks! Try it and let me know if it works! I've not had that problem yet, but my watch is still fairly new. It's a great tip that never would have occurred to me though, so THANK YOU for sharing! I'm sure it will come in handy when I'm out on an all day hike. I have not had any battery problems with my Tom Tom multisport yet. I usually charge it after 2 or 3 runs. How many hours do you usually get out of your Tom Tom? Yea, I thought it was brilliant! Exactly! I feel the same way and have no desire to upgrade! I'm glad I learned this trick! OHHH - I love little tips that people figure out! I have learned for my Nike watch that as soon as I get done with a run, turn the GPS off. I guess it still links even if its not set to tracking. I'm not familiar with the Nike watches but I guess that makes sense! Ooh, that's great to know! I'll have to try it to see if it works on the 220 as well. Do you know how long the battery life is on the 220 generally? Great tips, although I don't know how to get to the clock screen of my 310xt. I'll have to check this out! Thanks!! Very cool. I don't know how to flip to the clock screen on my Garmin 220, but will try to figure it out. I take MUCH, MUCH longer than 4 hours to run a marathon and need all the battery life I can get! Use the arrow button to scroll through the screens. I'm not sure if it has to be set as a data field first but I just use the arrows to toggle between screens. I'm currently using the 220 and I love it. I didn't really like the 210 because I wanted to have 3 data fields available. The battery life on the 220 is awesome. I can get multiple runs in on one charging cycle. I'm glad there's a way to extend the battery for the 210. That's great for people that are happy with the watch! What three data fields are shown on the 220? Glad you enjoyed the tip, and a few others were able to find it helpful! I have used that for years and it works. A gal I work with, has the same model as me and she uses her indoors all day to track her mileage and it works though an entire 8-9 hours every day this way too. Oooh, thanks for sharing this! The battery on my Garmin has just run out, so I will use these tips when I get a new one. GReat idea! never thought of that! 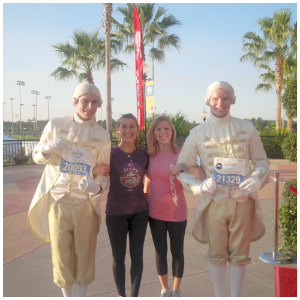 I just totally had a big AH-haaaa moment! Thanks for the tip. Oh wow! I never even thought to do that!!!! Thanks for sharing!!!! Blogs are great for sharing tips and that sounds like a great one! My new Garmin 225 has tons more battery life than my old 110. I wish I had heard of this trick before my 110 died. It's such a simple solution! Oh wow, I had never heard of that trick!! Thanks for letting us know!! That's such a good tip to know! !